Welcome to South Jersey Party Rentals! We are a family owned and operated business serving the New Jersey and Philadephia metro areas since 1997. We take pride in our mission and responsibility to assist with all your event needs, from the initial concept to the final result. With one of the most comprehensive rental inventories in the industry, we’ve got you covered from tent top to tabletop, in a full range of styles from traditional to contemporary. We offer tenting, tables and chairs, along with a variety of china, flatware, specialty linens and much more! With an expert staff to help you along the way, your table is always set with South Jersey Party Rentals. We service events and weddings all throughout the Delaware Valley and beyond! Make an appointment today and take advantage of our free consultation service. Our representatives will work hand in hand with you to make your party a very special event. 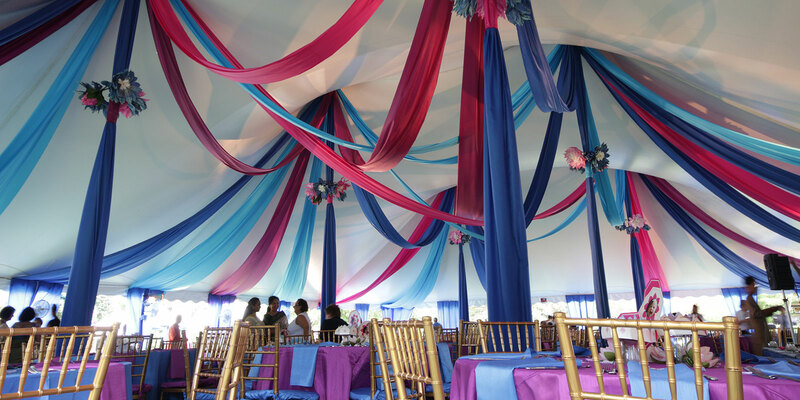 At South Jersey Party Rentals, we strive for excellence in any job that has our name on it!